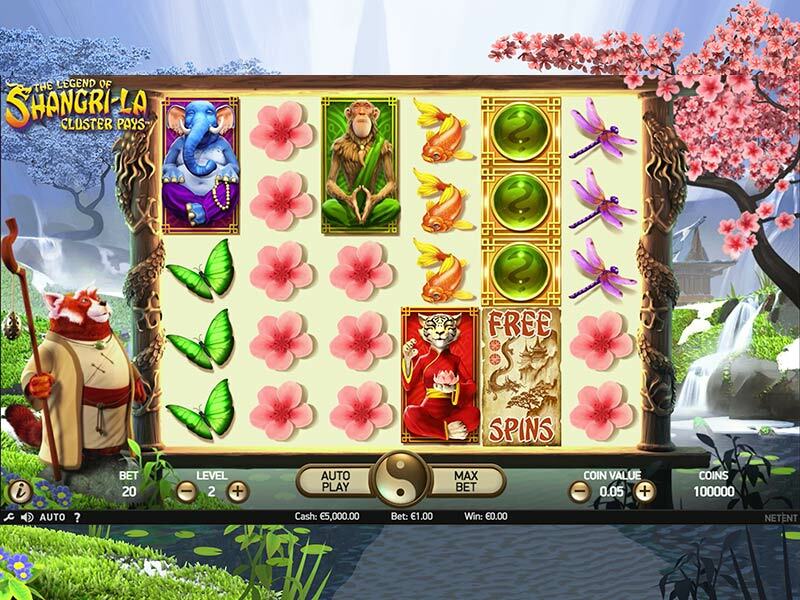 Here's abroad new Asian fantasy themed slot game from NetEnt, one of our favourite developers here at Wizard Slots. This game takes you into a whole new world of fantasy where all your dreams can come true. Rather than sticking to the standard 5 reel affair, this game opts for the Cluster Gameboard. This means that prizes are granted on matching clusters of symbols rather than paylines. Refreshing, eh? If you're looking for something fresh, take a look at our new slots! Shangri La is a mythical land steeped in oriental culture, theology, spirituality and an idea that paradise and ultimate prosperity truly exists. The concepts of Shangri La are what humans spend their lives trying to achieve; peace, serenity, wealth, and fortune. Why spend your full life looking for it when you can discover your Shangri La right here on Wizard Slots, with Shangri La Cluster pays. Check out how this game top-notches others when you click here. This game is different from the usual 5 reel set-up as rather than worrying about comprising paylines all you have to worry about is amassing clusters. Think of it in the same way you’d play Candy Crush. The Gameboard is 5x6 tiled screen with many symbols that can sometimes consume more than square. NetEnt have done a brilliant job with this one and this is visible with the highly detailed Chinese background filled with arched trees and gushing waterfalls. In the foreground, you will be greeted by a robust old fox who’s filled with the wisdom of the world. Every so often his animated torso will give some sort of encouragement, but despite this, his friendly face is sufficient enough. The Gameboard is filled with a stigma of oriental symbols that are common among this sort of game. Think Koi carp, cherry blossom, and wise prophets. In order to score wins you much match symbols that are either adjacent or vertical to the next one. Small wins come from the smaller symbols such as dragonflies, flower petals and butterfly symbols. If you’re a big-time player you’ll want to be keeping an eye out for the praying animal symbols. The wise elephant, mischievous monkey and the astute praying feline. In order to score a win a player must match 9 adjacent icons across the gameboard. 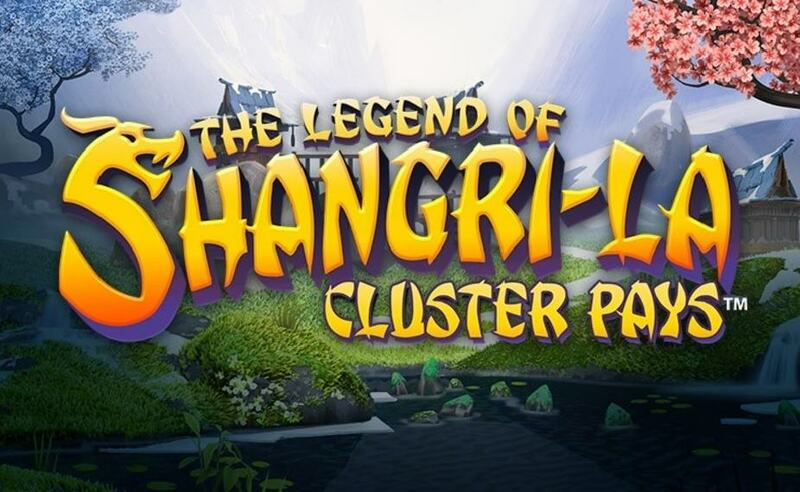 Shangri La is also filled with a lovely array of additional bonus games. The first game for example allows you to substitute symbols when you’re close to a win. A question mark will appear that you can automatically substitute for a symbol that will give you the highest value win. If you finish a spin and you’ve managed to achieve two clusters of the same icon then this will trigger the respin option. In a similar fashion to many other slot games this game also has a free spins feature that can be triggered when you match 3 or more free spin features.